Isn’t life ironic? Usually feet are not the most pleasant thing. But baby feet?! Well, they are just one of the best things on the planet. Of course everything about a baby is precious, but there’s something about baby feet that is even more swoon-worthy. Which is why I’m glad you’re here. 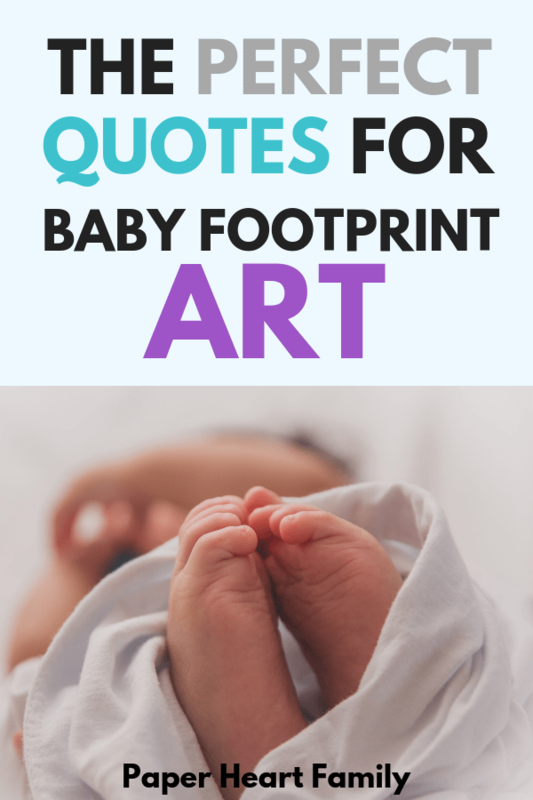 I’m going to help you preserve those beautiful baby footprints with these perfectly sweet baby footprint quotes and baby footprint art. If you love baby quotes, click over to my massive list of baby quotes. Because all too soon those adorable tootsies will be walking, and climbing, and running. They won’t be this little for long. These short quotes about footprints would be perfect even for a high school graduation when your “baby” is all grown up. No matter where you go in life or if we are far apart, a parent’s love will always follow because you left footprints on their hearts. 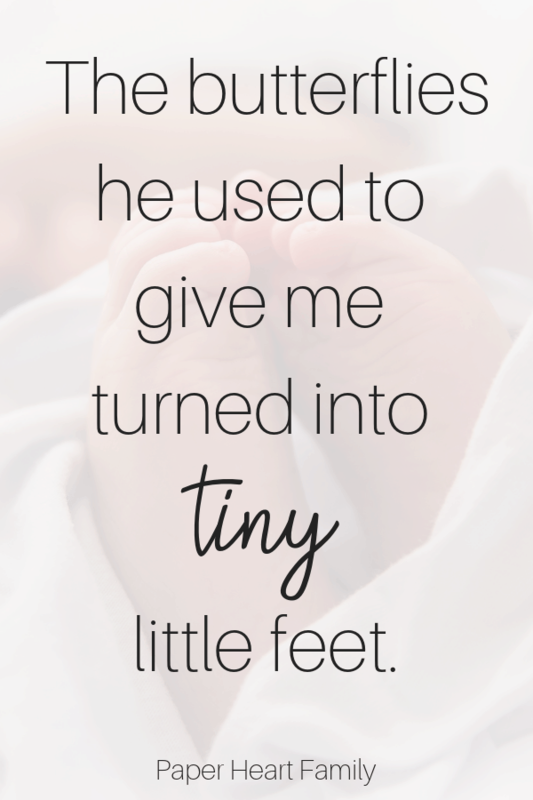 These baby feet quotes could be used for so many different things, such as the baby book, baby’s nursery or a gift to a grandparent. Lord, show my little feet how to follow you. There is no foot too small that it cannot leave its imprint on the world. Who knew that such small feet could leave such big imprints on your heart. There is no sound quite as sweet as the pitter patter of tiny baby feet. Her little hands stole my heart. Her little feet ran away with it. The butterflies he used to give me turned into tiny little feet. Little hands and little feet, little toothless grins so sweet, little eyes that shine so bright, little arms to hug you tight. There is nothing quite as sweet, as wrinkled little baby feet. I don’t know where my baby’s feet will go, but I hope they will remember me along the way. Sweet, tiny baby feet poems. Two little feet, with ten tiny toes, isn’t it strange how quickly time goes? These two little footprints, will help me recall, how little you were, when your feet were so small. Daddy, I have made prints of my little feet, so you can remember when I was so small and sweet. I will grow as the years go past, but my love for you will always last. Here’s a little footprint, just so you can recall, exactly how my tiny toes looked, when I was very small. I love you Grandma, from the top of my head to the tips of my toes. 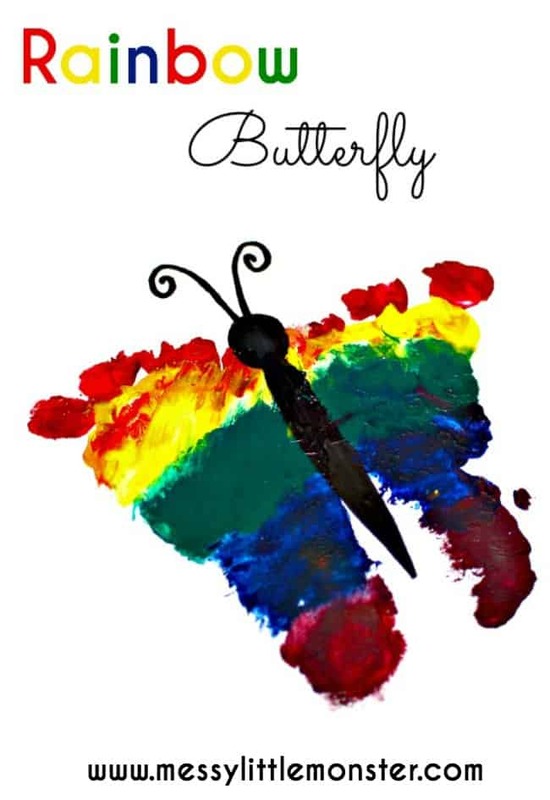 This isn’t just a butterfly, as you can plainly see. I made it with my foot, which is a part of me. It comes with lots of love, especially to say, I hope you have a very Happy Mother’s Day! 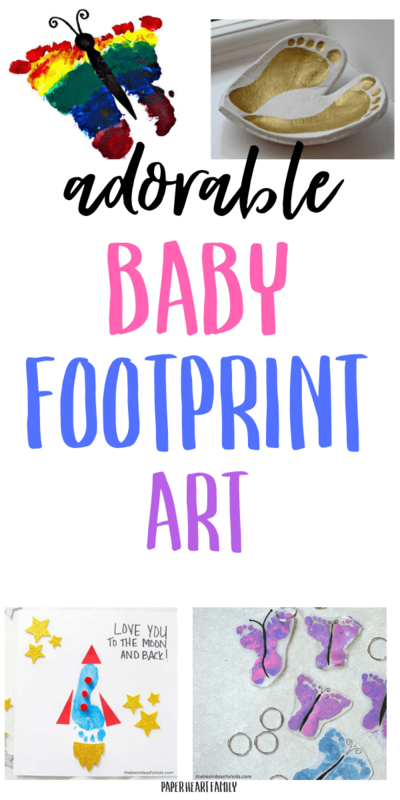 Now that you’ve picked from these cute baby feet quotes, it’s time to create some baby footprint art! 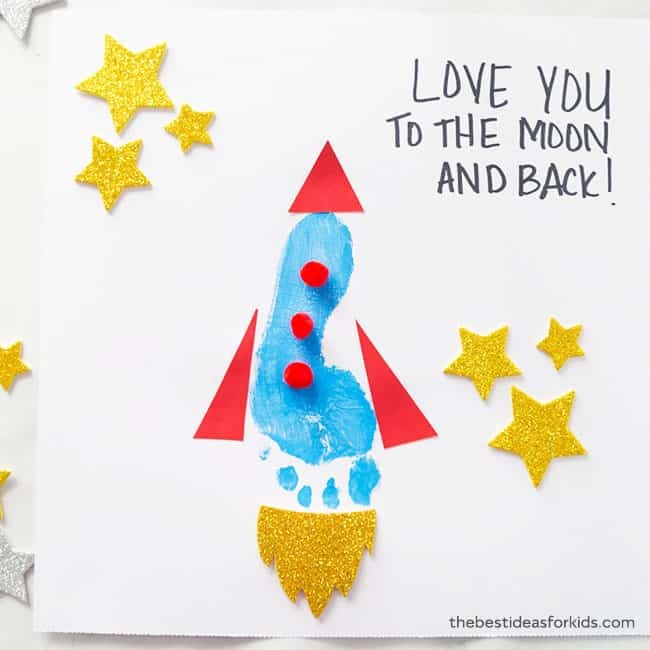 Isn’t this footprint rocket just adorable? This would look so cute framed and put in baby’s nursery. I wish I had seen these unbelievably adorable DIY footprint keychains while my kids were still babies. With this keychain, you can carry their sweet little feet around with you wherever you go. 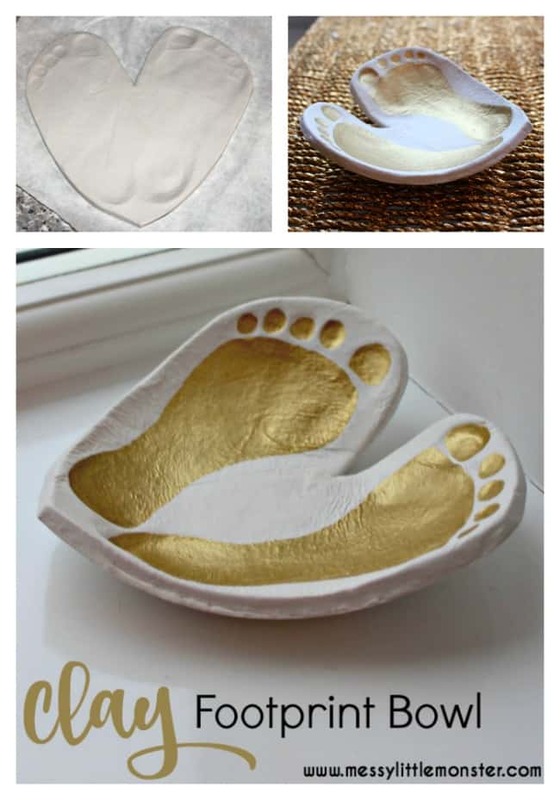 Or what about this sweet footprint bowl that you could use for jewelry or simply for decoration? Isn’t this footprint butterfly adorable? I know you wanna go grab some rainbow paint right now! Have fun documenting your baby’s sweet little feet!